Marguerite has bright chartreuse foliage provides a light color for this trailing vine. It makes an excellent foliage contrast in containers, baskets, window boxes or garden beds. 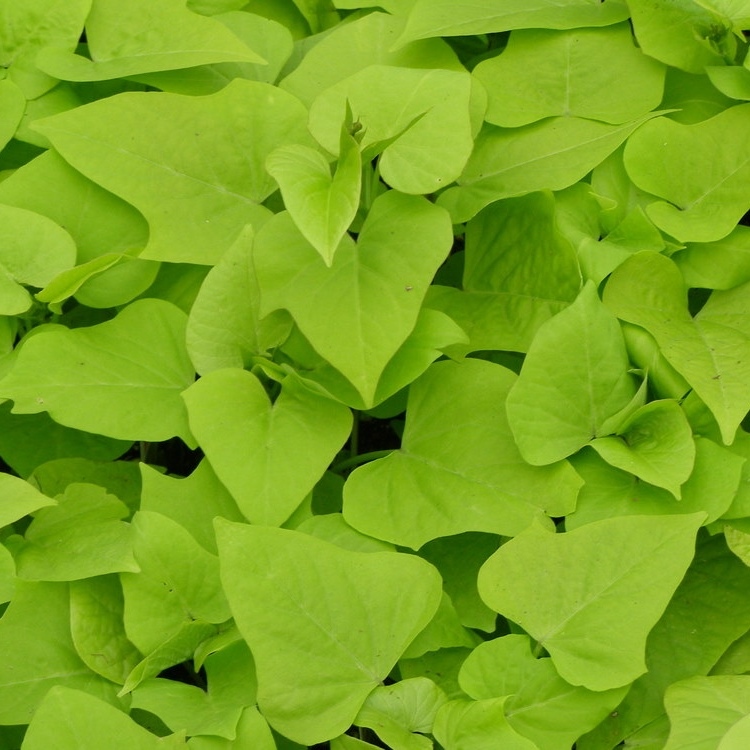 Our best selling Sweet Potato Vine! Blackie Ipomoea has deeply lobed purple leaves on its trailing vine. Much like the Marguerite, it is an excellent foliage contrast in your containers, baskets and garden beds. With a very vigorous habit, Tricolor Ipomoea is an excellent choice for mixed containers and landscapes. It has a unique leaf shape and its color combination of green, white and pink really stands it out above its competitors. With the new heart shaped leaves, the SolarPower series has swarmed the market with its uniformity and medium vigor in its three colors. They are bright colored leaves that are great for mixed containers and garden beds. The first compact ipomoea series on the market. With the same bright and bold foliage colors offered in the SolarPower series, you can take them on a smaller scale in containers and window boxes allowing you to still utilize these great colors wherever you need them.